HTC has popped in to say ‘hi’ and tell us a bit about their mid-range smartphone, the HTC One SV, a rather stylish number packing 4G and NFC. Said to be shimmying its way to Blightly in the “coming weeks,” the phone sports a generous 4.3-inch WVGA (800×480 pixels) display, backed by a 1.2GHz Qualcomm dualcore S4 processor. There’s 1GB of RAM onboard, backed by 8GB of onboard storage, with a microSD slot accepting up to 32GB cards. If all that’s not enough, there’s also SkyDrive and Dropbox integration for sharing files to the cloud. 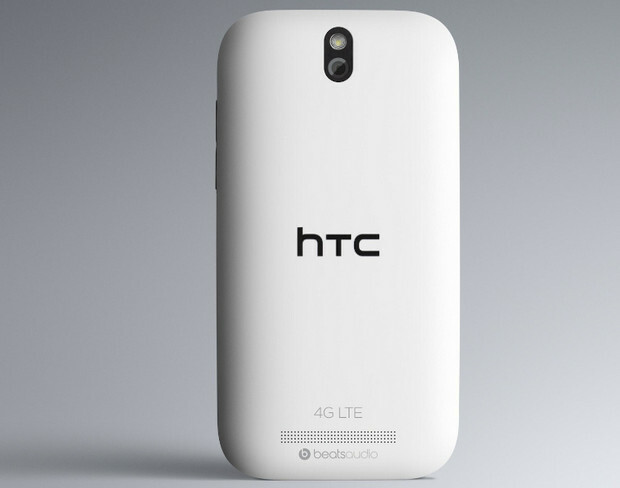 Running Android 4.0 Ice Cream Sandwich with HTC Sense 4, the One SV is set to do its stuff on EE’s 4G network (and other carriers as a HSPA+ handset), and there’s also support for WiFi a/b/g/n (2.4GHz/5GHz) and Bluetooth 4.0 with aptX for improved audio quality. HTC reckons users will be able to enjoy “studio quality sound” from the Beats Audio-enabled handset, and the camera options come in the shape of a 5-megapixel shooter on the back with a BSI CMOS and f/2.0 aperture lens capable of 1080p HD video recording, with a 1.6-megapixel f/2.2 camera on the front supporting up to 720p HD. The camera supports Continuous Shooting and contains the smartypants ability to capture both videos and stills simultaneously, without interrupting movie recording. Wrapping up the specs is NFC for Google Wallet, GPS/GLONASS, a digital compass, proximity sensor, and ambient light sensor. 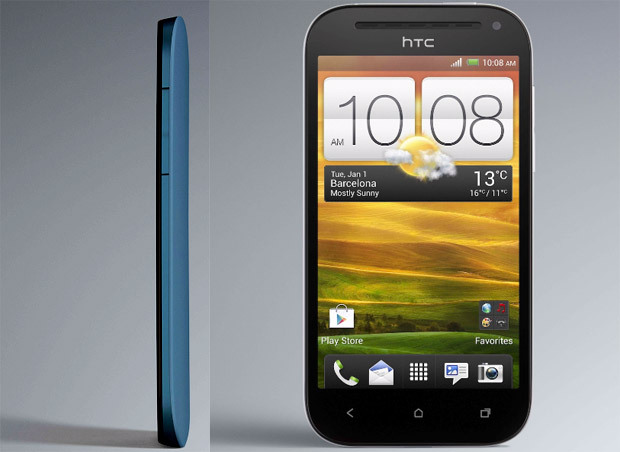 The HTC One SC will be available in ”Pyrenees blue” and “Glacier white,” with pricing yet to be announced. We think these are rather splendid looking phones, but our love may diminish a little if the price comes in too high.